By choosing the best process template when you create a team project, you provide your team with tools that support the way it works, and you help your team focus on quality by reducing overhead. The process template defines the set of work items, reports, and dashboards that you will use to plan and track your project. Choose Microsoft Solutions Framework (MSF) for Agile Software Development v5.0 if your team uses Agile methods and you resolve work items before closing them. Choose MSF for Capability Maturity Model Integration (CMMI) Process Improvement v5.0 if your team requires a rigorous audit trail and has a formal process for change management. Choose the Scrum process template if your team uses Scrum, manages bugs along with product backlog items during sprint planning, and wants work items and processes designed to support Scrum. 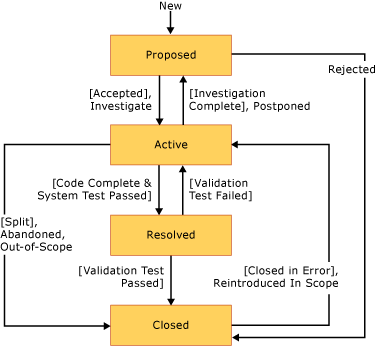 You can download this process template here: Microsoft Visual Studio Scrum 1.0. You'll need to upload the process template to your team project collection. Otherwise, you can customize a process template to meet your needs. 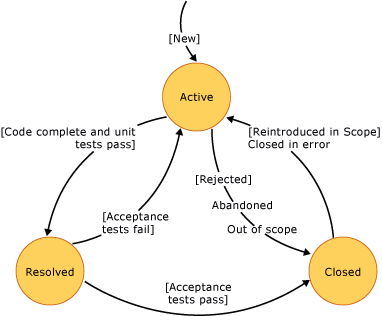 Choose MSF for Agile when your team progresses most work by changing the state of a work item from active to resolved to closed. 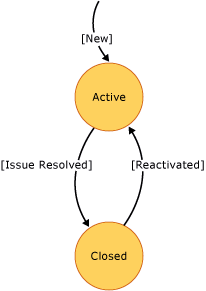 Teams create a work item in the active state and resolve it after they complete the work. Choose MSF for CMMI when your team progresses most work by changing the state of a work item from proposed to active to resolved to closed. 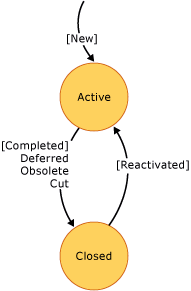 Teams create a work item in the proposed state, and it moves to the active state only after it has been accepted. Choose MSF for Agile when you plan your product around user stories and story points. Choose MSF for CMMI when you plan your product based on requirements and change requests. 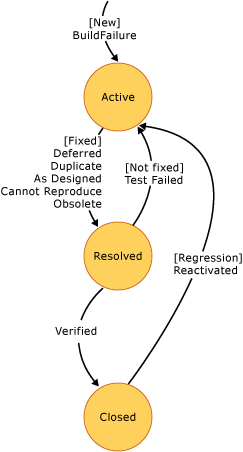 MSF for Agile provides an Iteration Backlog Workbook, which you can use to plan iterations. MSF for CMMI provides additional fields for tracking symptoms and proposed fixes. With MSF for Agile, teams can track known or potential problems, impediments, or risks to the team project by creating issue work items. With MSF for CMMI, teams can track known or potential problems, impediments, or risks to the team project by creating issue or risk work items. Also, code reviews can be tracked formally using the review work item. 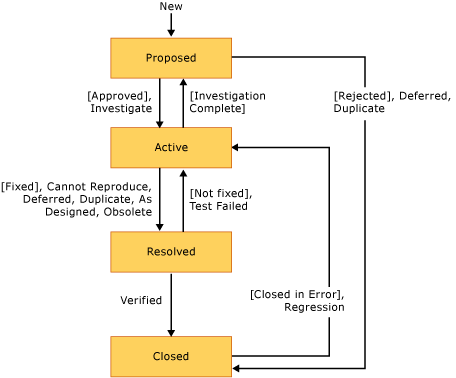 Information that is tracked for test cases is basically the same for both MSF process templates. Test management reports are basically the same for both MSF process templates. Choose MSF for Agile when your team is not required to support rigorous audits. Choose MSF for CMMI when your team is required to maintain a rigorous audit trail or is working toward a Capability Maturity Model Integration (CMMI) appraisal. 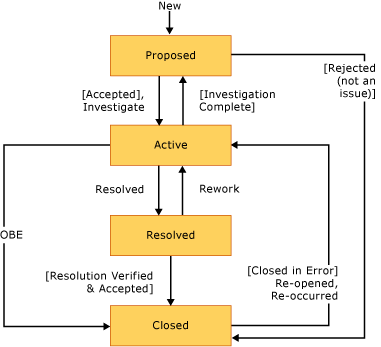 The following illustrations show the workflow states of four types of work items that are provided with the MSF for Agile and MSF for CMMI process templates. The main difference between these workflow states is that the work items from MSF for CMMI always start in a Proposed state instead of an Active state. 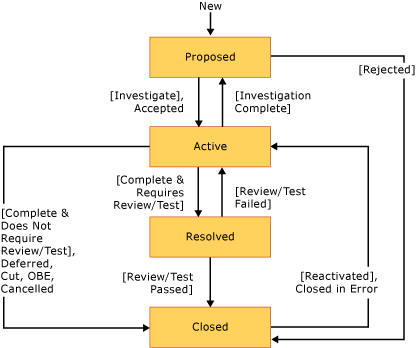 Also, the MSF for Agile workflow provides a simpler, two-state processfor tasks, but the MSF for CMMI workflow provides a four-state process.